Untamed, but utterly delicious. Fresh and bright with black cherry and darker fruit. Textural and plush. Lovely spice and savouriness kick through the finish. 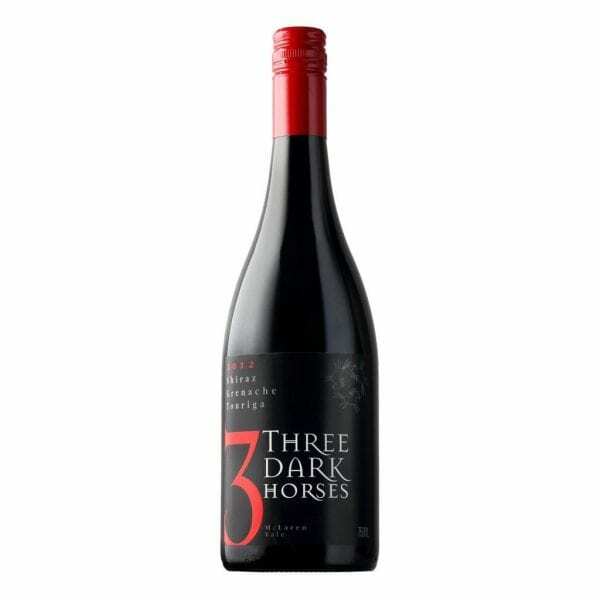 Three Dark Horses Shiraz Grenache Touriga is a blend of Grenache and Touriga, co fermented with 50% whole bunches and fermented with natural yeasts this is fruit forward but balanced by earthy, more savoury edges and natural acidity. Untamed but utterly delicious. 50% whole bunches of Grenache and Touriga are placed in the bottom of an open fermenter, with the balanced crushed on top. The ferment is allowed to proceed with wild rather than cultured yeasts for seven days. 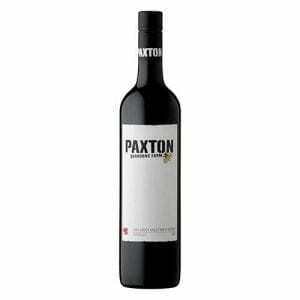 The wine is then gently basket pressed to stainless steel tank where it is settled naturally and bottled without the use of oak, fining or filtration. A true representation of vineyard and fruit. Bursting aromas of raspberries with cherries and musky spice. Untamed, but utterly delicious. Fresh and bright with black cherry and darker fruit. Textural and plush. Lovely spice and savouriness kick through the finish. Three Dark Horses is the new project for former Coriole winemaker Matt Broomhead. When the opportunity arose in 2009 to make wine from Bruno Romano’s old vineyard in the Seaview sub region of McLaren Vale- Matt teamed up with his father Alan and grandfather Frank and the Three Dark Horses were born. Today Matt and Alan run this small label with Matt’s 90-year-old grandfather Frank a vintage regular. Their focus is on producing small batch, hand made, and a ordable wines of character.